Love vector footage pack with Illustrator hearts in different styles and techniques. 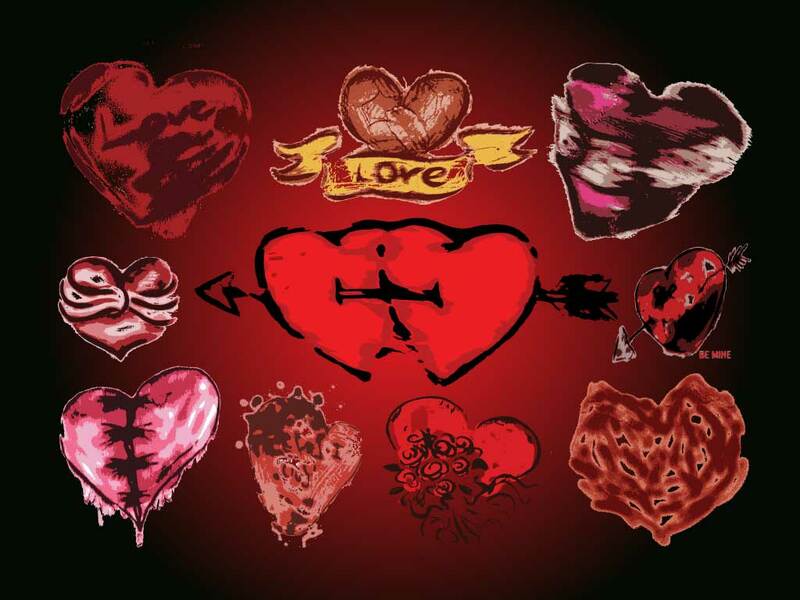 Download this cool pack of hand drawn hearts. Great texture and ray art style make these hearts perfect for posters and t-shirts. Add these grunge hearts vectors to your growing collection in Adobe AI and PDF format for fast and easy editing. Great images to create unique Valentine's Day cards, wedding invitations and lovely artworks to surprise your loved ones. Tags: Love, Lovely, Romance, Sweet, Texture, Valentine, Vector Hearts, Wedding.